Whether you need Bosch dryer repair or range service in Calgary, Alberta, feel free to reach our company. 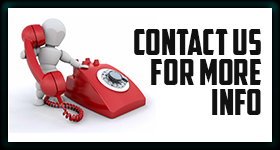 We are here to take care of your problem in a fast-track manner! It’s an obvious fact that this brand is an absolute leader on the market.Which is why,Bosch appliance repair Calgary service should be second to none as well.With this in mind, we cooperate with many certified pros that have a good hand at servicing Bosch equipment. With wealth of expertise in home appliance repairs, they can remedy any issue your unit might be developing and get it back in the game in next to no time! When it comes to Bosch home appliance repair,you need to make sure to pick the right company. As these appliances are quite costly,entrusting their servicing to the first comer isn’t a good idea. So make a wise choice and let Appliance Repair Calgary take care of your needs. 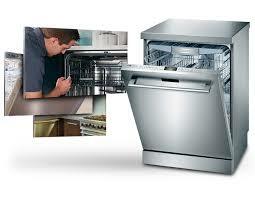 In case of any problem, just call us to get prompt and high-quality Bosch appliance service in Calgary. You will see that there’s no need to stress over Bosch refrigerator repairor washer diagnosis aswe’re on it. Once you set an appointment, the nearest available expert will head to your place to assess the situation. Be it Bosch washer repair,oven tune-up, or anything in between, you will get an excellent service at a fair price.And don’t worry about the timing! With access to all necessary tools and parts, the pro will perform the required Bosch appliance repair from the word go. While some appliance repair companies are only interested in major projects, others don’t have available pros within the next days. But our approach to business is quite different. As we strive to become the only place you call for various appliance repair services, we make certain that all techs we send out are well-versed in all kinds of jobs.Moreover, they are fully equipped to deliver prompt results for all seasons. So don’t give it a second thought and phone us today to learn more about our services. We would be happy to provide you with a Calgary Bosch appliance repair expert at a day and time of your choice!